Last week I managed to get sick with something, not really sure what, but boy was I pooped and yucky. Comfort food was definitely in order. And coming home from work early to snooze and sit on the couch all evening wrapped up in a blanket. And so it was fortuitous, that just last week I happened upon some new-to-me gluten free canned soups at Whole Foods. 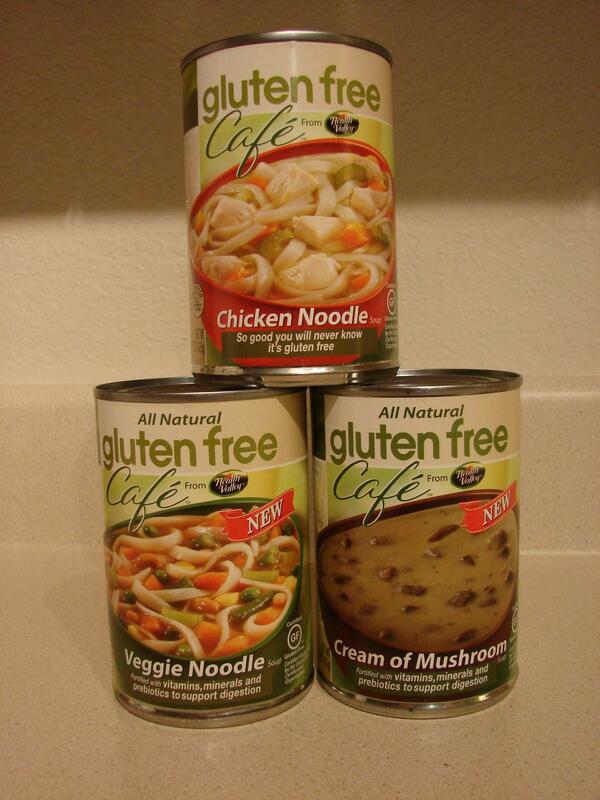 Gluten Free Cafe soups from Health Valley. I was so grateful that I had picked up a couple of cans. It was wonderful to have some canned chicken noodle soup to eat while feeling sick. (I am not the vegetarian in the family, remember?) My husband was grateful as well, he just (lovingly) dumped it in a bowl for me and heated it up! They also have a cream of mushroom soup and a veggie noodle. I liked the chicken noodle soup. To my sickly taste buds, it tasted good. There were plenty of noodles,veggies and broth and a few chunks of chicken. The chicken was a little bit hard but it all still tasted good to me. Have any of you tasted it yet? Did you like it? I have yet to try the veggie noodle and cream of mushroom. Despite feeling crappy most of the week, I did cook some and I owe you some recipes and reviews! This week’s Gluten Free Menu Swap is being hosted by Wend at Celiacs in the House and the theme is mushrooms. (Her mushroom hater is gone for the week.) I am not a huge fan of mushrooms but my husband is, so I will include them periodically. Stir-fried Tofu ad Vegetables with Miso Sauce and rice – new-to-us recipe from Fat Free Vegan with mushrooms – she has great tofu recipes! Matar Paneer and rice – a favorite! Vegetarian Tortilla Soup from Stephanie over at A Year of Slow-Cooking. I’ll probably make a salad or corn muffins to go along side. And then I am going to try my hand at Pupusas. Many folks have made them and so I am taking my inspiration from here, here and here. And I will make Diane’s Spicy Slaw. I can’t wait! They will most likely be filled with black bean something-or-other. I also have to make something for my husband’s holiday potluck at work and so I will be making Glutenfreeda’s Wild Rice Stuffing with Hazelnuts and Cranberries. This has become our go-to dressing for Thanksgiving and the holidays. It also travels well, heating up in a crockpot easily. I took it to my office Thanksgiving potluck a few weeks ago. As for dessert, I have been eying Elana’s Vegan Mexican Chocolate Ice Cream…and I just might have to make some holiday cookies or candies too! Sorry to hear you were feeling poorly. 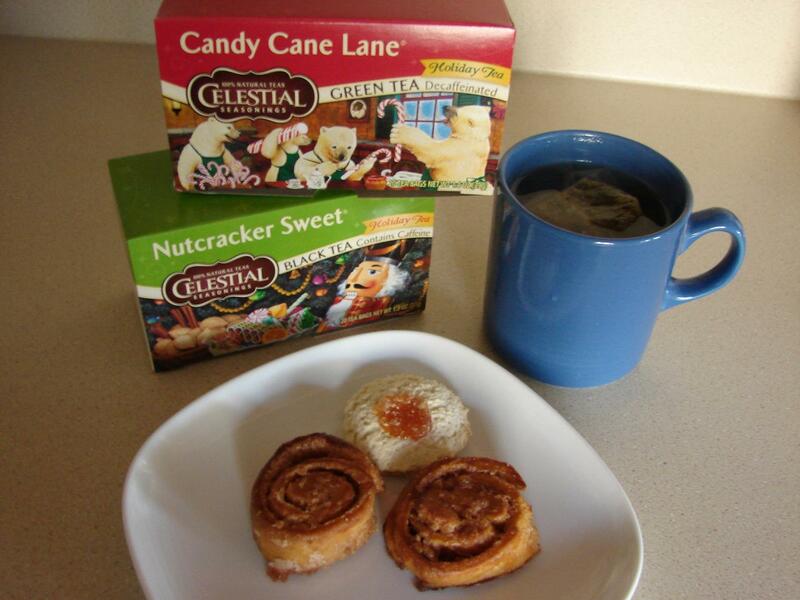 Good thing you had gluten-free provisions. You picked some of my favorite cooks for inspiration this week. Diane’s Spicy Slaw is great. Hope this is a better week for you.